I am sending this response to you because I believe in the importance of advocating for diversity, seeing children (and adults) from a strength-based perspective, and working to shape our society to be a better fit for those who experience the world differently. I want my son to be empowered to be a self-advocate. I want him to have pride in who he is this very day. I want to be focused on his strengths and the positive things he brings to the table – or to a relationship, the science fair, or even the local Lego contest. Some of those positives may be because he has autism – or not – really I have no need to delineate this. I realize that autism is a part of what makes my child who he is, but that it does not paint a complete picture. He cannot be separated from being autistic – and I don’t want him to feel that he should, but neither does it completely define him. The thing is, however… the VERY IMPORTANT thing… is that I do not want him to feel shame! I do not want him to feel that he is less because he is differently wired – and I think that there is a real concern that this might be the case. I see this young man work so hard to do the things that a typical child can do intuitively. I understand that this doesn’t mean that a typical child will not struggle, but that is not what this response is about. I also understand that there are some families who face enormous daily stresses and challenges with their children with autism/autistic children, and it is not my intention to diminish or underplay these challenges… but comparing children and their challenges is also not what this response is about. The fact is that we all have challenges and strengths, and everyone feels better about themselves when they feel they are valued and appreciated for their strengths. I am appreciative that H has language and is generally able to communicate his experience in an articulate manner. He is reading now – which is reflective of thousands of additional hours of support outside of school. He is demonstrating increasing skill in navigating the social world – although this remains a huge struggle and source of much anxiety. He is learning to use his cognitive skills to make his way and navigate a world that most of us, as non Autistic, can do rather intuitively, although perhaps not without a few bumps here and there. H’s challenges may be different from a child without speech, or one who faces more severe cognitive issues… however his challenges are still very real and affect him deeply. This is a child who can see what I refer to as ‘the gap.’ He can see that he is different, and at times he senses that he doesn’t quite fit in with his peers as well as others are able. He makes social and behavioural mis-steps – and social situations sometimes seem to go awry. From H’s perspective this can seem like things went sideways with no warning – completely out of the blue. Sometimes he is lonely – desperate to belong – but stuck on the periphery. Sometimes he makes a good connection with a peer – but then a third child comes along and he loses his step – or cannot keep pace. Sometimes it is his own anxiety, fear, and worry that keep him on the outskirts. I think my child is on a difficult path… and frankly – if there is a way that I can support the development of attitudes that accept and celebrate diversity in order to smooth his journey – then I feel that is my responsibility to do so. Negative attitudes toward autistic pride are difficult for me to endure as a parent, but I can separate myself from this. As a parent I might try to understand the perspective that this might be someone’s gut-wrenching response to an almost untenable situation. However, as many shadow traits as I may be observed to have – I am not autistic. Thus, I am removed by a degree. Conversely, my son is not removed, for him it is all too immediate, and he is not able to rationalize and understand these attitudes from a parent’s perspective. For him negativity about autism is an attack upon his very being – in that very moment – and likely resonating on some level and carried with him into his future. This is as much of a threat to my child as the school yard bully and I want others to consider how it could manifest his sense of himself as autistic in a way that creates embarrassment, pain, and a sense of inevitable failure. So if you will be patient with me as I wind my way through the writing of this response, I think I can weave together the many threads. 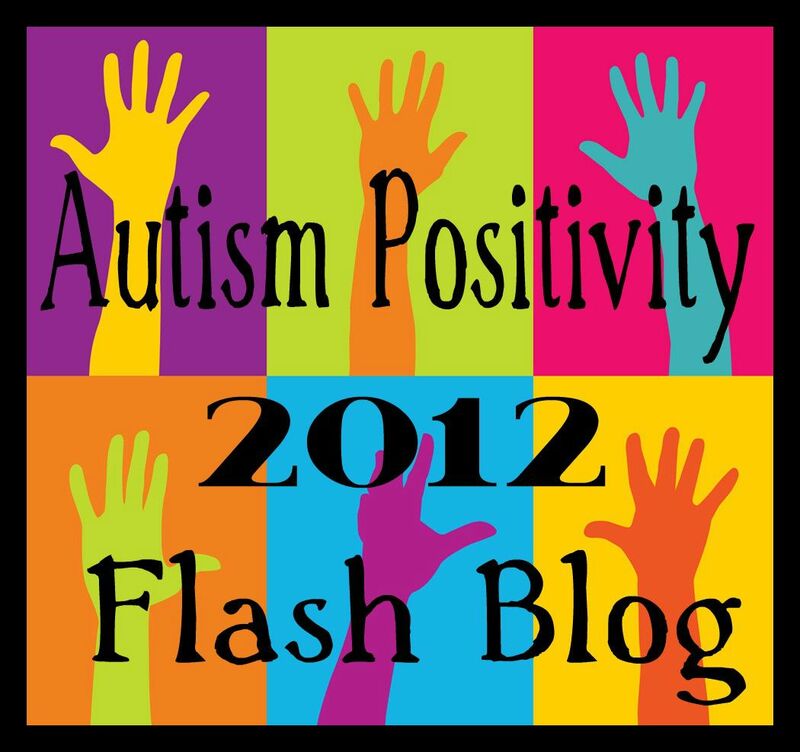 Autism affects my child… it affects him deeply. But more than this – my response to him affects him as well. The responses, attitudes, and judgments of other children affect him, as do the responses of teachers, relatives, family friends, neighbours, and the attitudes and judgements of strangers… and of big autism organizations …and the responses of government! I worry about the way that he was at times punished at school for his lack of social understanding and was given the message (even if perhaps it was only implied in the reaction of others) that he was bad. I worry about the lingering effects of that message on his development of a sense of self. I worry that my child may feel that he lacks worth – or that he is not good enough. I worry about the shame my child might feel, and I find myself observing H closely to try to measure and determine the depth of its effect. I worry about the messages of the media proclaiming that autism is a curse, an epidemic, or a tragedy – and that my child hears and processes messages like these. I have to work hard to undermine the effects of this and loosen shame’s hold. This shame part really tears me down to my core… and sometimes I worry we do not have enough time – enough awareness – enough insight and understanding to mitigate the potential damage. I want to live in a world that appreciates the strengths of a child like mine, or the sparkle of understanding in the eyes of a child who does not have spoken language – but still communicates. I want H to make a statement like I shared at the opening of this post and be able to leave off the questioning tone. I want to surround my child with positive messages… about who already he is… without changing one little thing, and then move on from there… and I invite you to do the same. This entry was posted in acceptance, ASD, Aspergers, Autism, diversity, Shame, worry and tagged acceptance, Autism, Autism Positivity, Autism Positivity Flash Blog, behaviour, communication, Curse, Embarrassment, Epidemic, failure, message of the media, reframe tragedy, shame, think differently, Tragedy, worry. Bookmark the permalink. That was amazing. So incredible. So much how I feel with my son. Thank you for writting this. I hope to hold on to this post forever. This describes the very spot on the spectrum that my eldest is on. Yet it does not belittle where my youngest is on the spectrum. It brought tears to my eyes and made my heart sing with pride all at the same time. What is most important to me was that you have captured my joy and my wishies for my children, both of them. They give me such joy. I need them to stand tall leah. To feel pride in themselves. When so many would hold them back or put them down. I want them to know they are amazing. Thank you. Keep advocating. Much love and respect for all that you do. So very well written! Thank you for expressing what so many of us feel. My 15-year old daughter was once nonverbal (until the age of 5)…..but while currently verbal, she is somewhat limited in her level of communication yet she almost always finds a way to express herself 🙂 You are such an inspiration to a me (and am certain to many others) as I continue to advocate for my daughter. Thank you very much, Joyce. I appreciate you taking the time to leave such an encouraging and supportive comment. That really means so much! I know what it is like to grow up feeing different. I my case though my mum was told was normal by the school psychologist and I grew up with people expecting me to be normal and even trying to force me to be normal (with failure being punishable). Finally at the age of 33 I was diagnosed with Aspergers Syndrome. Apart from my ex blaming his abuse of myself and my children on our suspected ASDs (one of which it turned out the apparent symptoms mostly were nothing more than the child’s response to his dad’s abuse but the other 2 are on the spectrum) finding out I have Aspergers has been helpful. For starters I discovered my mum and dad did love me but they were mis-guided by professionals they would have expected to know what they were talking about back in the 70s when I was a young child- but those professionals didn’t because the Aspergers Syndrome diagnosis did not yet exist. Growing up I was bullied at school and felt under attack and unloved at home. My only goal in life was to leave home. Now my parents help us and my children have a set of grandparents they know love them which would not have been possible is High Functioning Autistic Spectrum Disorders were still not recognised (all 3 of us are high functioning).